My apologies friends, for being incommunicado for the last week. I assure you I had good reason. And I'm going to give that to you now. First: Jesse returned. He arrived last Monday night. I picked him up from the airport after Muay Thai and I basically poked him to make sure he was real. I underestimated the time it would take to integrate Jesse into my schedule. I run a tight ship for myself. I get up, go to the gym, go to work, go to Muay Thai, and come home. I blog or I relax or I organize. I think I figured Jesse would fit in there -- in my designated relax time. But being with Jesse is not all relaxing. So part of my regime had to be changed -- and I wouldn't have it any other way, because I thoroughly enjoy being with Jesse. I am just stubborn. On Tuesday I received what I call "PB" the Pinkberry. 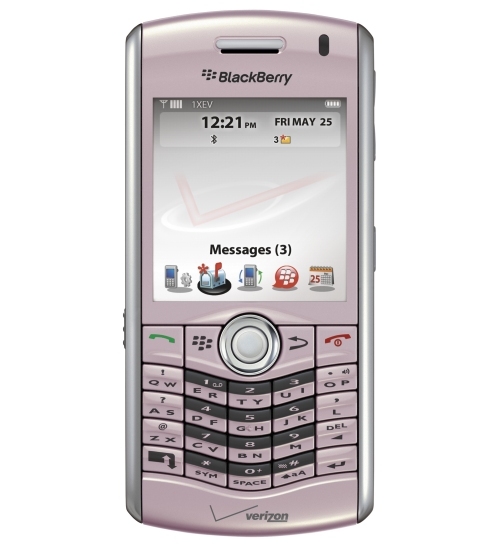 The rest of the world may know it as the Blackberry Pearl, Pink. It was the culmination of my most recent two year contract with Verizon. I've been with Verizon since 2001. I joined with a large group and have since persuaded a lot of my friends to switch from other providers. I believe Verizon has been pleasant to me in return. I have a grandfathered text message plan better than anything being offered, and I always get a fancy phone when I upgrade. I thought that was in jeopardy this time around -- because my new every two credit was just $50. If you've been pricing phones lately, you'll know $50 is next to nothing. In fact, it may as well be nothing for the features a $50 phone will provide. But Verizon came through. For $50 (and two more years of my life) I scored a $389 Pinkberry. I really like it. So after grocery shopping Tuesday night, I learned PB's ins and outs. Now I'm totally smitten.